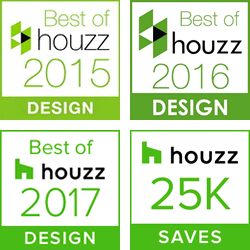 Heartlands offers top of the line True residential outdoor kitchen products as part of a built-in cooking area or separately. 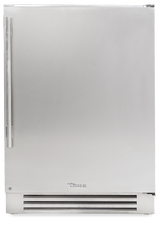 They carry a variety of products: outdoor refrigerators, wine cabinets, beverage centers, refrigerator drawers, ice machines, freezers, and beverage dispensers. 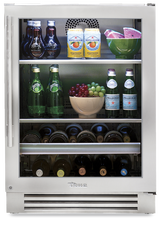 Designed with the customer in mind, True refrigerators are built for the homeowner who likes to host and entertain. The 15″ and 24″ refrigerators fit perfectly in the outdoor kitchens that Heartlands builds for certain projects. The True residential undercounter refrigerator fits seamlessly into the outdoor kitchens Heartlands designs and builds. 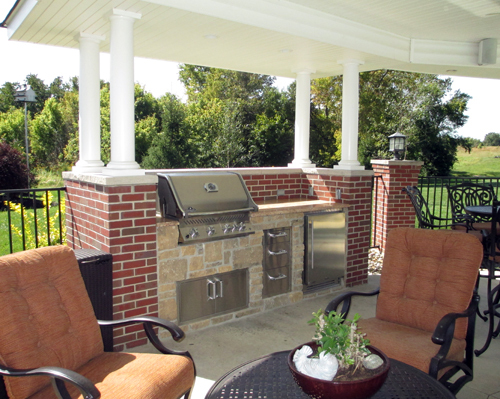 It gives you complete cooling flexibility right where you need it―right next to the grill. True carries the only glass door in the industry that is UL-rated for outdoor use. 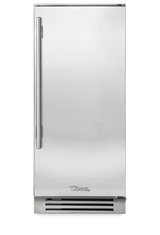 Perfect for real life, the True refrigerator stays durable while keeping a sleek style. Even better, it holds 200+ cans of your favorite beverage! 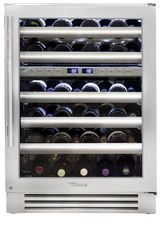 True’s Dual Zone wine storage system preserves all your wine bottles at the perfect temperature. It offers independent climate zones, providing precise control. You can separate the temperature ranges from 40°F to 65°F, making sure each bottle of wine stays at the right climate. The glide-out vibration-dampening racks make sure to protect 45 of your favorite wines, ensuring each one tastes the way it is intended. The True beverage center offers an exclusive balanced refrigeration system. It allows you to set the temperature as low as 33°F, keeping your drinks icy cold. This technology also allows you to cool down beverages rapidly and maintains them at the perfect temperature, leaving them ready to drink when you are. 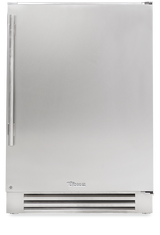 True’s undercounter refrigerator drawers make the ideal addition to your outdoor kitchen. Not only do they provide extra storage, they also help organize they way you use your outdoor kitchen. They give you all the cold storage, practicality, and style you could ever want. Recently added to the True residential line, undercounter ice machines are the highest-performing, most energy-efficient clear ice machines available to homeowners. The machines include a patented TruLumina Lighting System and are UL-rated for both indoor and outdoor use, making them a very convenient, energy-efficient, sleek machine. True undercounter freezers add flexibility to your space by providing a way to store your frozen items in the location you need them. 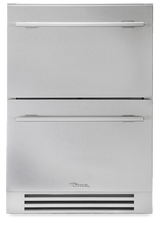 UL-rated for outdoor use, both the door and drawer models would be an ideal addition to your outdoor kitchen. True’s beverage dispensers are handcrafted to give you the perfect serve for your perfect beer. It is ideal for the beer connoisseur and those who love entertaining guests. The draft beer dispenser uses True’s exclusive airflow technology, ensuring the beer is poured frosty and refreshing every time. Whether you purchase a single or dual tap, it will serve your guests well on your newly designed and built outdoor living space by Heartlands.